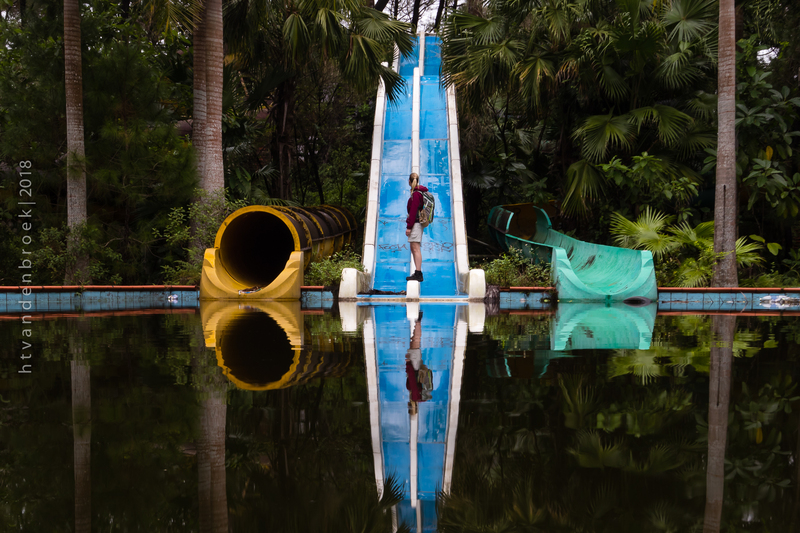 The abandoned waterpark, Thuy Tien lake, in Hue, Vietnam, is a desolate place with just a handful of roamers/backpackers and a single guard. Construction on this desolate place ended a few years ago but the park never saw any official visitors. Roaming the place certainly felt surreal. The best entrance is the spot where I marked a Parking Spot. A taxi driver should be able to find it but the best way to get there is by motorcycle. The guard will ask a euro or two as an entrance fee, pay him and he'll greet you friendly every time he passes.